Match ends, Paris Saint Germain 1, Brest 0. Second Half ends, Paris Saint Germain 1, Brest 0. Corner, Brest. Conceded by Salvatore Sirigu. Corner, Brest. Conceded by CearC!. Offside, Brest. Nolan Roux tries a through ball, but Tomas Micola is caught offside. Substitution, Paris Saint Germain. Jean Christophe Bahebeck replaces Mathieu Bodmer. Siaka TiC)nC) (Paris Saint Germain) wins a free kick in the defensive half. Foul by Jhon Jairo Culma (Brest). Attempt blocked. Tomas Micola (Brest) left footed shot from outside the box is blocked. Assisted by Nolan Roux. Foul by Ousmane Coulibaly (Brest). Substitution, Paris Saint Germain. Sylvain Armand replaces JC)rC)my Menez. NenC* (Paris Saint Germain) wins a free kick on the left wing. Foul by Benoit Lesoimier (Brest). Substitution, Paris Saint Germain. Mevlut Erding replaces Kevin Gameiro. Attempt blocked. 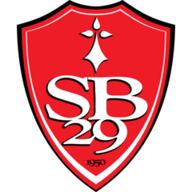 Ousmane Coulibaly (Brest) right footed shot from outside the box is blocked. Assisted by Richard Soumah. Substitution, Brest. Richard Soumah replaces Romain Poyet. Substitution, Brest. Tomas Micola replaces Eden Ben Basat. Foul by NenC* (Paris Saint Germain). Ousmane Coulibaly (Brest) wins a free kick in the defensive half. Foul by Eden Ben Basat (Brest). Attempt missed. Jonathan Zebina (Brest) header from the centre of the box is high and wide to the left. Assisted by Bruno Grougi following a set piece situation. Foul by Mathieu Bodmer (Paris Saint Germain). Eden Ben Basat (Brest) wins a free kick in the attacking half. JC)rC)my Menez (Paris Saint Germain) wins a free kick in the attacking half. Foul by Tripy Makonda (Brest). Attempt missed. Javier Pastore (Paris Saint Germain) right footed shot from the left side of the box is high and wide to the left. Assisted by JC)rC)my Menez. Ousmane Coulibaly (Brest) is shown the yellow card for hand ball. Hand ball by Ousmane Coulibaly (Brest). Attempt missed. Benoit Lesoimier (Brest) right footed shot from outside the box is high and wide to the right. Assisted by Tripy Makonda. JC)rC)my Menez (Paris Saint Germain) wins a free kick in the defensive half. Foul by Bruno Grougi (Brest). Goal! Paris Saint Germain 1, Brest 0. Javier Pastore (Paris Saint Germain) right footed shot from the centre of the box to the top left corner. Assisted by JC)rC)my Menez. Attempt missed. JC)rC)my Menez (Paris Saint Germain) left footed shot from outside the box misses to the left. Assisted by Kevin Gameiro. Corner, Brest. Conceded by Mathieu Bodmer. Attempt blocked. Bruno Grougi (Brest) right footed shot from outside the box is blocked. Diego Lugano (Paris Saint Germain) is shown the yellow card for a bad foul. Foul by Diego Lugano (Paris Saint Germain). Nolan Roux (Brest) wins a free kick in the attacking half. Benoit Lesoimier (Brest) wins a free kick on the left wing. Corner, Paris Saint Germain. Conceded by Ousmane Coulibaly. NenC* (Paris Saint Germain) wins a free kick in the defensive half. Benoit Lesoimier (Brest) wins a free kick in the attacking half. NenC* (Paris Saint Germain) wins a free kick in the attacking half. Attempt saved. Javier Pastore (Paris Saint Germain) header from the centre of the box is saved in the bottom right corner. Assisted by NenC* with a cross. Attempt blocked. Javier Pastore (Paris Saint Germain) right footed shot from outside the box is blocked. Assisted by JC)rC)my Menez. Hand ball by Javier Pastore (Paris Saint Germain). Eden Ben Basat (Brest) wins a free kick in the defensive half. Attempt missed. Kevin Gameiro (Paris Saint Germain) right footed shot from a difficult angle on the right misses to the left. Assisted by Javier Pastore with a through ball. JC)rC)my Menez (Paris Saint Germain) wins afree kick on the right wing. Bruno Grougi (Brest) wins a free kick in the attacking half. 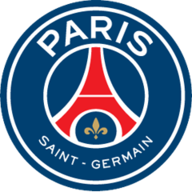 Second Half begins Paris Saint Germain 0, Brest 0. First Half ends, Paris Saint Germain 0, Brest 0. Attempt missed. Benoit Lesoimier (Brest) right footed shot from outside the box misses to the left. Assisted by Bruno Grougi. Offside, Paris Saint Germain. Mathieu Bodmer tries a through ball, but NenC* is caught offside. Attempt blocked. Mathieu Bodmer (Paris Saint Germain) right footed shot from outside the box is blocked. Assisted by NenC*. Attempt missed. Bruno Grougi (Brest) left footed shot from outside the box is high and wide to the left. Assisted by Nolan Roux. Attempt missed. Mathieu Bodmer (Paris Saint Germain) right footed shot from outside the box is close, but misses the top right corner. Assisted by Javier Pastore. Nolan Roux (Brest) is shown the yellow card. Nolan Roux (Brest) has gone down, but that's a dive. Attempt missed. Eden Ben Basat (Brest) left footed shot from the centre of the box misses to the left. Assisted by Nolan Roux. Attempt missed. Siaka TiC)nC) (Paris Saint Germain) left footed shot from outside the box misses to the right. JC)rC)my Menez (Paris Saint Germain) is shown the yellow card. Attempt missed. Benoit Lesoimier (Brest) right footed shot from the left side of the box is too high. Offside, Brest. Tripy Makonda tries a through ball, but Nolan Roux is caught offside. Attempt missed. Nolan Roux (Brest) header from the centre of the box misses to the right. Assisted by Bruno Grougi with a cross following a set piece situation. Attempt missed. NenC* (Paris Saint Germain) left footed shot from outside the box is just a bit too high from a direct free kick.